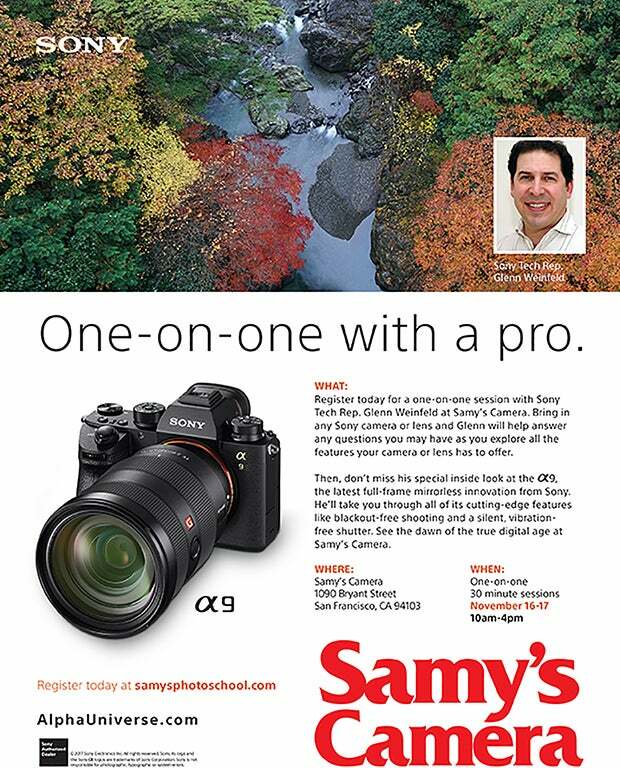 Register today for a one-on-one, 30-minute session with Sony Tech Rep. Glenn Weinfeld at Samy's Camera. Bring in any Sony camera or lens and Glenn will help answer any questions you may have as you explore all the features your camera or lens has to offer. Free sensor cleanings will also be offered for your Sony camera. Then don't miss his special look at the α9 as he walks you through all of its cutting-edge features. Cost to register is $10, all registered attendees receive a $10 Samy's Camera gift card.